The Chicago Cubs did it. They ended the drought. Finally, after 108 years, they won the World Series. The Curse of the Billy Goat is broken. Steve Bartman can stop looking over his shoulder and get on with his life. It’s a huge moment that is so good for baseball. The television ratings were through the roof for an epic series that concluded with an extraordinarily interesting Game 7. It satisfied generations of fans and has likely hooked a whole new generation as well. There were so many years that just weeks into the season the Cubs fans were already saying, “Maybe next year.” The Cubs became known as the lovable losers. Historic Wrigley Field used to be a place where the Cubs hosted a party 81 times a season and there just happened to be a ballgame going on. It was more about the fun than the baseball. 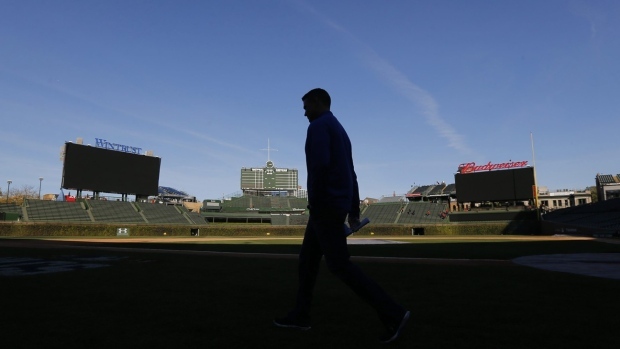 When the Ricketts family hired Theo Epstein as president of baseball operations in October of 2011, the baseball part of the equation became the most important component of the organization. Epstein came over from Boston, where back in 2002 he was hired to be the general manager of the Red Sox. At the time, Epstein was the youngest named to such a position in baseball history. Just two years into his executive career his Red Sox team broke the Curse of the Bambino, winning the World Series for the first time since 1918. Boston won again in 2007 under Epstein’s leadership. He is the ultimate curse-buster. He did it in Boston and now he has done it in Chicago. It took a bit longer to win in Chicago than it did in Boston because he had to disassemble the team and completely rebuild it. In Boston, he inherited a veteran, competitive team that he tweaked with a few gutsy moves. The Cubs needed a complete makeover. In fact, only two players on the Cubs’ World Series roster pre-date Epstein in the organization: Willson Contreras and Javier Baez. Contreras signed with the Cubs as a free agent in 2009 out of Venezuela, while Baez was drafted in the first round (ninth overall) of the 2011 draft. They were both babies when Theo joined the Cubs. But it was Epstein and his staff who oversaw the development of the youngsters. Every other player on the roster was acquired or signed by Epstein. Epstein has a unique talent of drafting well and signing amateur studs. He is adept at negotiating with agents and trading with other MLB executives. He is brilliant, professional and he communicates well. He delegates when he needs to and hires excellent people around him. He has been willing to make bold decisions. He traded Nomar Garciaparra and allowed Pedro Martinez to leave Boston because they were the right moves, even though the players were beloved by the fans. The 2016 Cubs set a record as the only club ever to win a World Series with six players 24 years old or younger. They will be competitive for a long time. There is no reason to think that over the next several years the Cubs won’t find themselves back in the World Series again. Epstein and his staff will be able to tweak around their young core of studs to win a lot of games year in and year out. I wouldn’t bet against the Cubs winning a few more during Epstein’s tenure. They have the resources to keep stockpiling talent. Epstein won twice in Boston and will at least do the same in Chicago over the next several years. Epstein is a Hall of Fame executive. However, he may have to wait a very long time for his induction to Cooperstown. When it comes to executives, one has to be retired for at least five years or be at least 70 years old as an active executive. Epstein is just 42. With that being said, it’s possible he will get bored of baseball and want a bigger challenge someday. I don’t know his politics, but my guess is he could easily beat Hillary Clinton or Donald Trump four years from now and become the President of the United States. With Theo Epstein, anything seems possible.